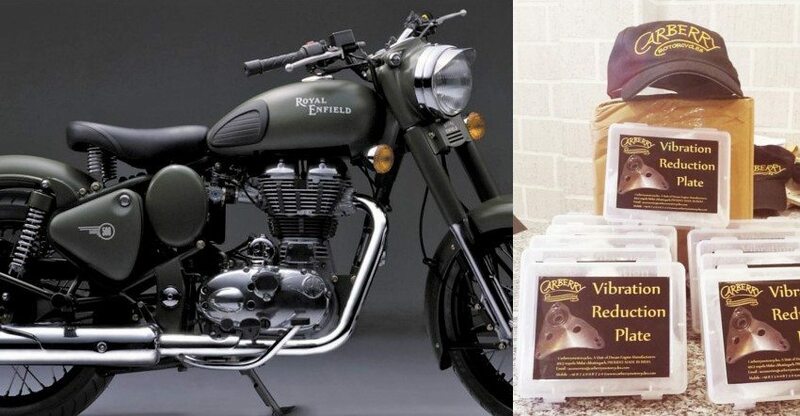 Carberry Motorcycles recently ventured into Royal Enfield accessories and brought a solution to those excessive vibrations that develop inside their massive single cylinder engines. Named as Vibration Reduction Plate, this accessory is priced at INR 3,000 and reduces vibrations that arise in everyday speeds. It functions well by stabilizing the mass distribution and thus, reduces vibration by avoiding recoil contact between cam wheel and pinion. It can be helpful for owners of both 350cc and 500cc Royal Enfield motorcycles. Imagine riding your Royal Enfield at 90 kmph with lesser vibrations. You will start feeling good about your bike. Still, riders with new bikes are not advised to go for this part as it will void the terms and conditions of their standard warranty. 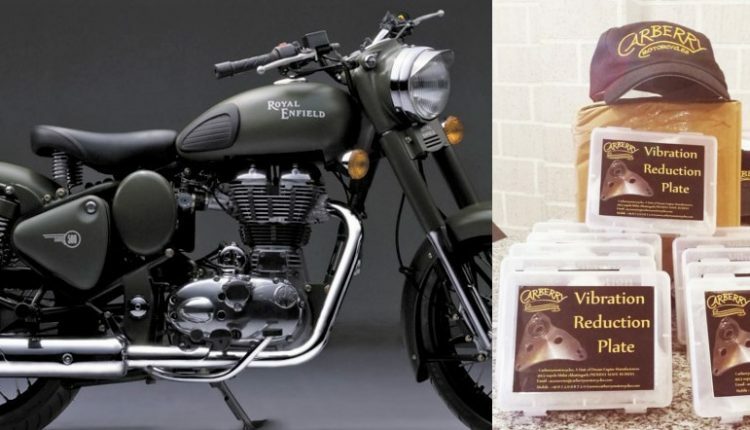 Only the accessories bought from official Royal Enfield store are considered within the terms. Carberry Motorcycles are selling this part from their official website. They will ship it straight to your address. They are known for their huge 1000cc engine on a custom built motorcycle, all of which is built through parts from Royal Enfield. Carberry Motorcycles is an Australian brand that now build bikes in India under ‘Dream Engine and Manufacturers’ label. 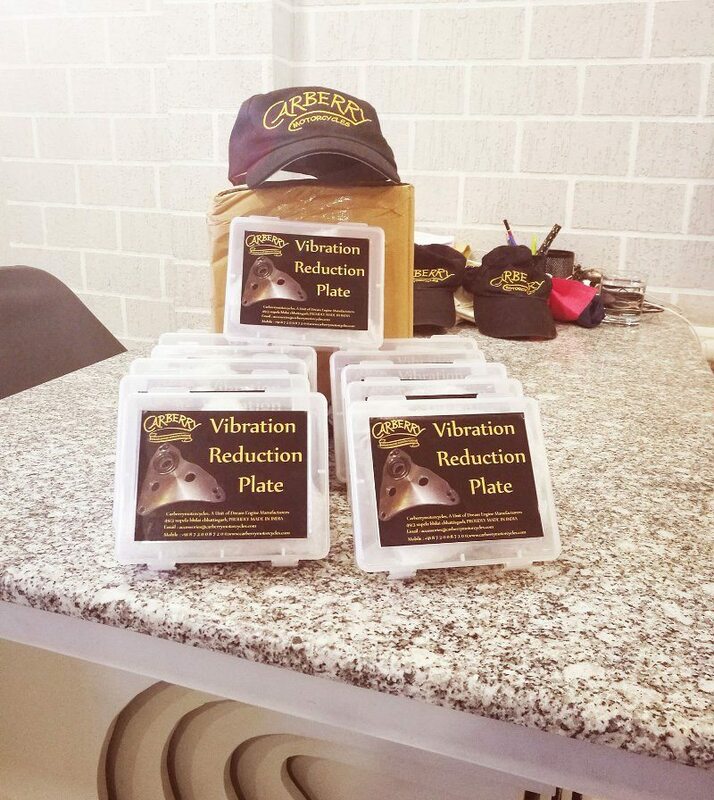 Vibration Reduction Plate had a great response in initial hours as all pieces were sold within just 24 hours. They have officially thanked everyone for this gesture and informed that new stock is on the way. They have one official email address where buyers can write their queries and even ask for a notification when the plate comes back in stock. 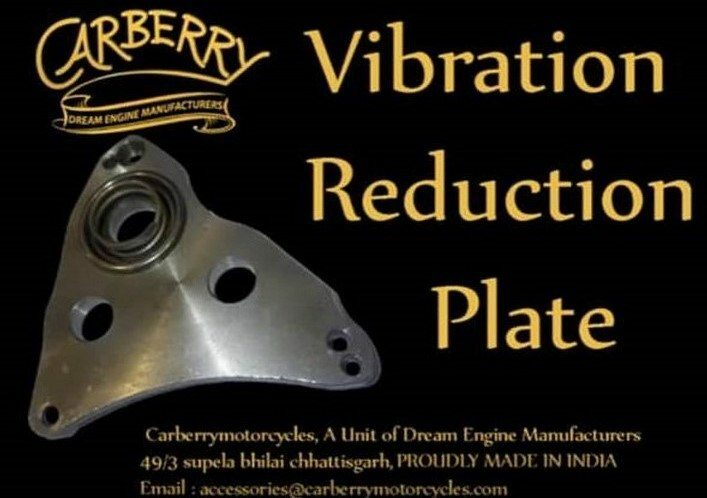 They have even urged everyone to send them their old cam plate and get INR 400 refund from their side.They have officially listed 110 kmph as the max speed for which buyers will benefit from this custom made Vibration reduction Plate. Stabilizes the uneven distribution of mass around the axis. No flex on the shaft, hence no backlash between the pinion and cam wheel on any angle of rotation. Minimizing the vibrations of motorcycle between speed of 60-110 kmph. Reduced cam wheel wear because of less crank oscillation which stops churning on the gear and also allows tighter backlash settings meaning lower long term wear on the teeth. PLEASE NOTE: THIS MAY NOT ELIMINATE TAPPET NOISE IMMEDIATELY UPON FITMENT. BUT WILL REDUCE SOME OF THE DAMAGE THAT CAN CAUSE TAPPET NOISE IN THE FUTURE. FINER BACKLASH CLEARANCES MAY BE ACHIEVED AFTER FITTING.